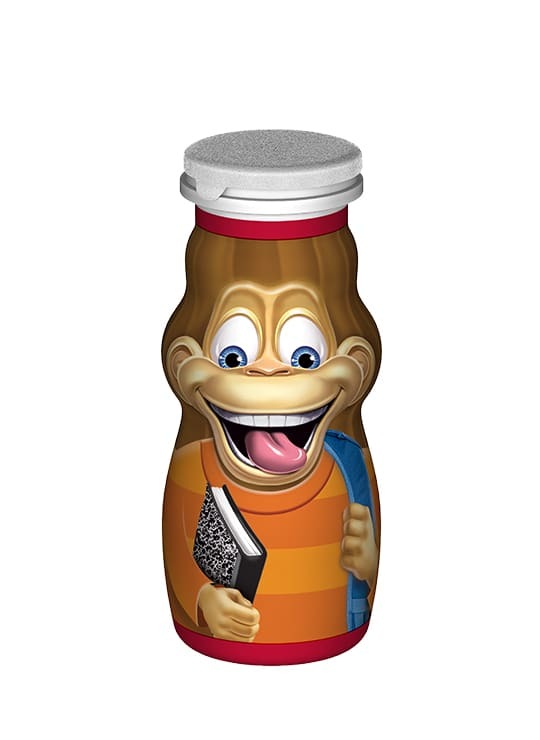 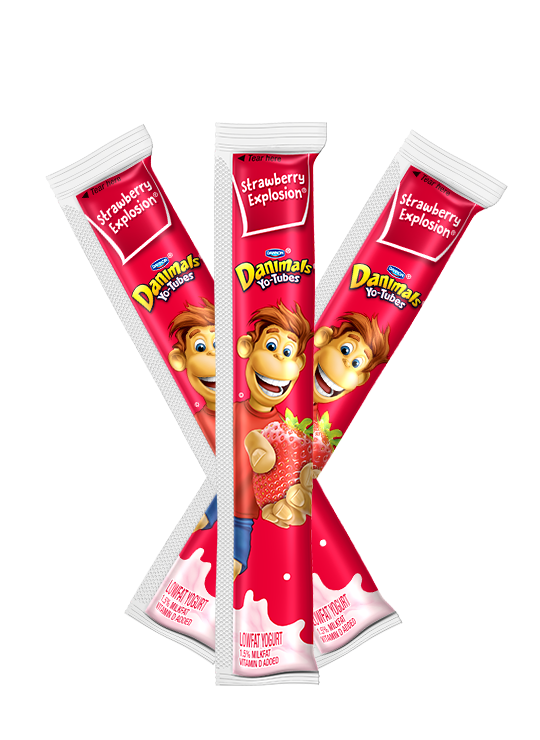 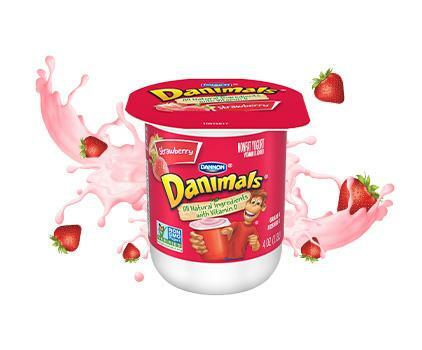 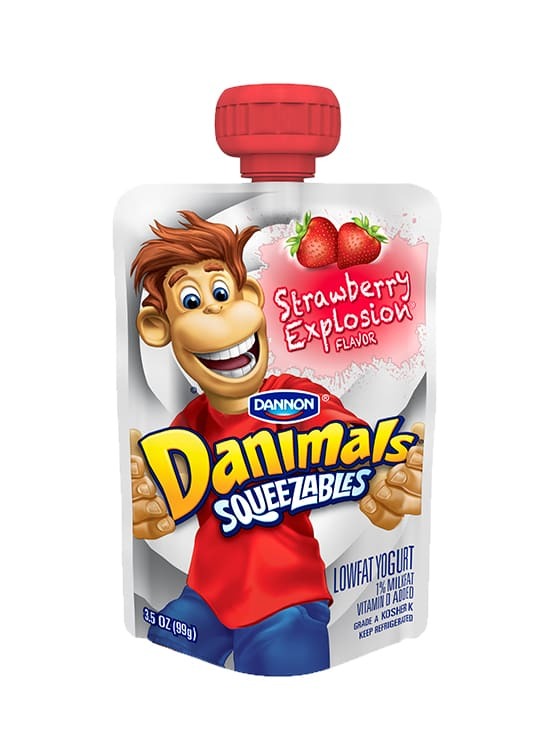 Classic Danimals Strawberry nonfat yogurt in yummy, kid-favorite strawberry flavor is always a winner. 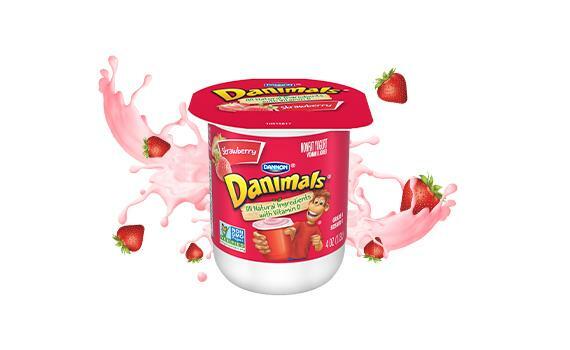 A nutritious option that’s a good source of calcium and vitamin D. Plus, our nonfat yogurts are now Non-GMO Project Verified. 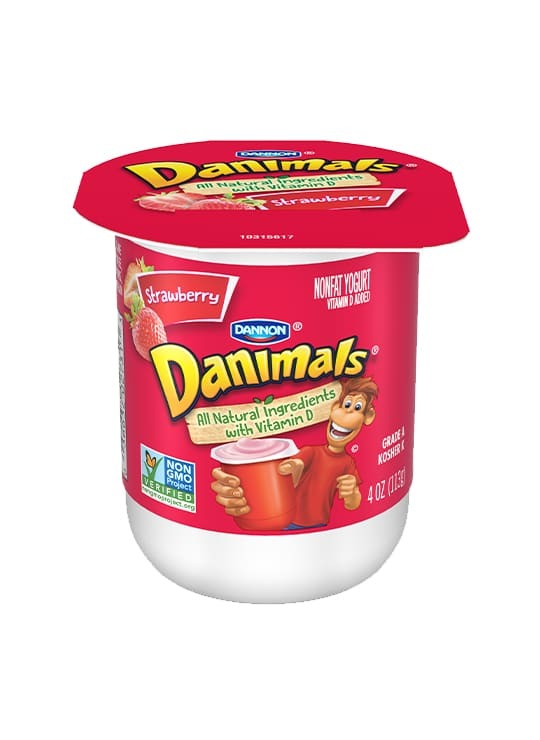 Cultured Grade A Non Fat Milk, Cane Sugar, Water, Corn Starch, Strawberry Puree, Contains Less Than 1% Of, Agar Agar, Natural Flavors, Fruit And Vegetable Juice (For Color), Carob Bean Gum, Lemon Juice Concentrate, Vitamin D3.